Among the wind cult, it’s apparently the ‘aesthetics’ of these things that titillate the senses and get their juices flowing: just knowing that they’re out there somewhere (in someone else’s backyard, not their own) gently caressing the breezes, is more than enough for starry-eyed wind worshippers. Ignore the hundreds of $billions squandered on subsidies for a power generation system, abandoned centuries ago, for pretty obvious reasons; ignore the chaotic, occasional delivery of power which, but for those subsidies, has no commercial value because it can’t be delivered as and when power consumers want it; ignore rocketing retail power prices in places like Denmark, Germany and South Australia (all said to run on sunshine and/or breezes and all paying the highest power prices in the world); and ignore the millions of birds and bats, sliced, diced and belted to Kingdom Come each and every year. True enough, the wind cult is simply hard-wired to ignore reality. But, funnily enough, real environmentalists, as well as those forced to live cheek by jowl with these giant whirling wonders, tend not to feel so warm and fuzzy about them, after all. Instead, community defenders, across the globe, will do anything to prevent them destroying the rural environments in which people are bound to live. The N-I-M-B-Y charge levelled by eco-zealots tends to ring hollow, against the fact that no matter how many of these things get speared across the countryside, there will always – absolutely A-L-W-A-Y-S – be a coal or gas (or in South Australia and the UK, diesel) generation plant somewhere in the system, online, chugging away, burning fuel (or ready to do so in an instant) just to keep the grid from collapsing, whenever wind power output collapses on a total and totally unpredictable basis. And much hyped mega-batteries will continue to be ludicrously expensive, vanity signalling projects, providing a minuscule amount of power, at the margins. While the wind industry, its parasites and spruikers still attempt the line that rural communities are falling over themselves to get in on some wind farm action, as usual, the spin and the reality are paddocks apart. Around the world, rural communities continue to fight back hard against the great wind power fraud. Wherever wind farms have appeared – or have been threatened – big numbers of locals take a set against theses things and those ready to spear them into their previously peaceful – and often idyllic – rural communities. Their anger extends to the goons that lied their way to development approval – and the bent officials that rubber-stamped their applications and who, thereafter, help the operators ride roughshod over locals’ rights to live in and enjoy the peace and comfort of their own homes and properties (see our post here). Apparently, instead of falling in love with the look of these things, the moment there’s an opportunity to get rid of them, communities can’t contain their riotous delight. Funny about that. A dozen 140ft wind turbines on the edge of the Lake District are due to be dismantled next summer after a decision which could result in many more being removed to restore views. The wind farm on Kirkby Moor on the Furness peninsula in Cumbria would be the first large one to be taken down since they began appearing around Britain in 1991. South Lakeland district council refused an application by the wind farm operator to keep the turbines operating for another ten years until 2027. Under the original planning permission, granted in 1992, the turbines have to be removed by August 26 next year. 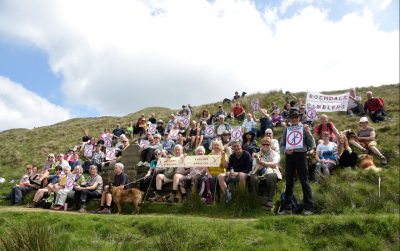 The council’s decision follows a campaign by the Friends of the Lake District (FLD) and the Open Spaces Society (OSS), which argued that the turbines blighted views from within the Lake District National Park. The distance to the park boundary from the nearest turbine is 800 metres. Laura Fiske, FLD planning officer, said the decision set a precedent which would make it easier to resist applications from other wind farm operators to extend the life of visually intrusive turbines for which planning permission will soon expire. 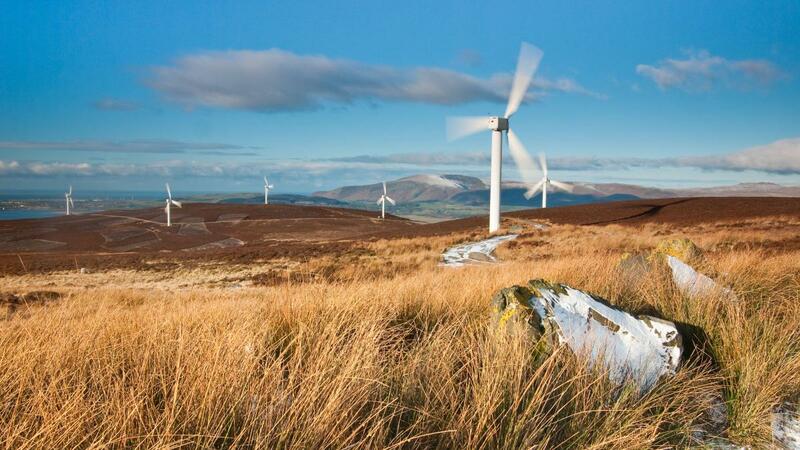 Kate Ashbrook, OSS general secretary, said: “We objected because the turbines are a severe intrusion in a wild landscape, highly visible from many directions and in particular from the Lake District national park. “Furthermore, the turbines occupy a significant area of registered common land, where the public has the right to walk and commoners have the right to graze stock. The moor is also criss-crossed with public rights of way. Now we need to make sure that every trace of the turbines is removed when the current consent expires next year, so that this magnificent common is restored to its former glory”. To view the original of this article & much more information exposing the crass concept & environmental damage of Wind Turbines CLICK HERE.